The extra batch of OPL4 Shockwave cartridge is almost done. Five units remains in stock, two of them, "ready to go" and another 3 in assembly stage. 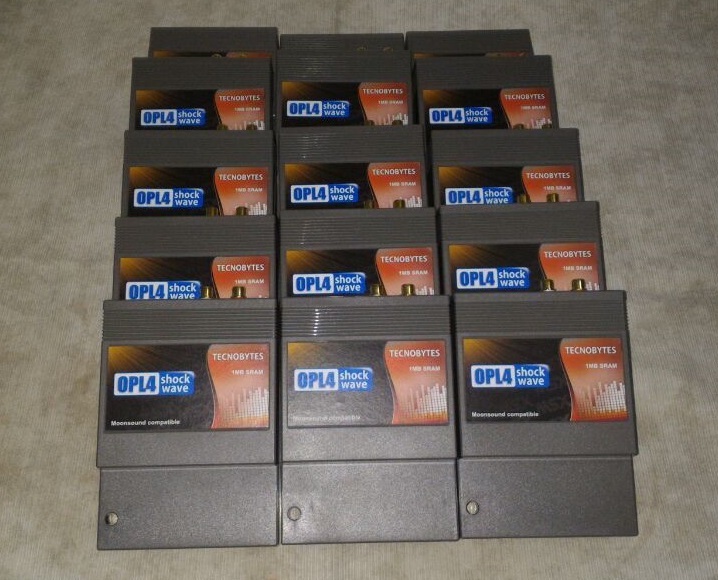 If you want to buy yours OPL4 Shockwave cartridge, click here! For while, take a look at this new game produced by Kai Magazine (Oscar Kenneth) compatible with OPL4 Shockwave cartridge: https://www.youtube.com/watch?v=SRdl6N7nRaE. The Slot Expansion by Tecnobytes Classic Computers is in final stage! Soon you will have the chance to buy another great Tecnobytes product! Pre-sale will start in october 2016. We will try to share informations directly from our lab every week.